This is gonna be fun and exciting. I was introduced by one of my friend that we can create facebook chat emoticons, or anything that we want by using a simple trick. The number of Facebook Chat Emoticons would be unlimited (by theory). How to do that? Just follow our instruction below. For simple tricks you can do this emoticons by performing this shortcut code to your Facebook Chat Windows. Note: all this tricks wouldn’t works on Facebook Messenger for Mobile (Phone, Smartphone, Mobile Phone, Android, BlackBerry, Windows Phone, iPhone etc). It would remain the same just like the code, and wouldn’t change to be an emoticon. Have you ever seen a status of your friend in Facebook that in “blank” state or “empty” status. You might wonder there is something wrong with your fb therefore make their status didn’t appear in your news feed / wall. You might think that your connection might be got a trouble on previewing the status message. But, that not absolutely right, because might your friends create an “empty status” by using a “tricky” way. My Facebook Ticker is Gone! – How to Disable / Remove and Block it (TIMELINE)! Remember what I wrote before about FB Ticker? Finally, I was able to figure out how you can kick the Ticker stream status / notification of Facebook (Facebook Ticker, at list hide it somewhere to the hell :D ). Now, I glad that I’m not a stalker anymore. How to do this? Here is the simple tutorial to disable or remove FB Ticker. Note: some of facebook users also name it this ticker as TIMELINE. Might be because it would update like a stream continuously without an end in every second. Before Facebook officially announced about Facebook Video Calling, Google with his Google+, the Social Networking, already announced about Google+ Hangout that works exactly like Video Calling but with enhanced capability to make Video Conference with up to 10 people at once. Unfortunately, we aren’t able to give you an example of how to use this Hang Out feature with 2 people or more due to our lack of friend list that we are able to invite, but we gave you how to do Hangout by step by step instruction as cam to cam Video Calling. Are you ready? 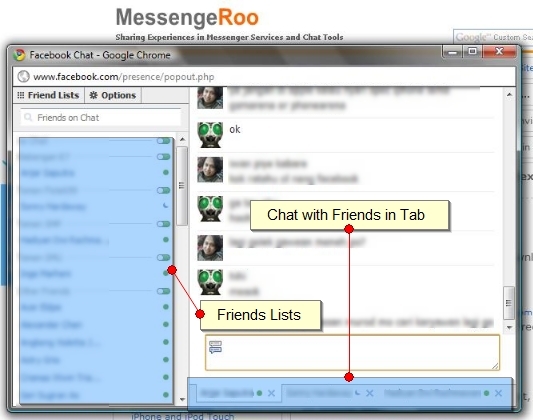 Actually you can use Facebook Chat and make an Instant Message or Private Message with your friend in several ways, such as using Jabber Chat Client / XMPP Chat Client likes iChat, Pidgin, or Miranda IM or using the standalone version of Facebook Chat like Chitchat had, but usually almost all the Facebook users used the Chat Features via Web Base browser inside their Facebook Chat Page. Unfortunately, by using Facebook Chat in Web browser via FB Website, every time you reload the page, or go to another page, it would make the Facebook Chat showed down and sometime (frequently) go disconnected (go offline), this make our conversation with our friend stuck in the middle of communication. Instead of sending the message, the text that we sent to our friends suggested to be send via Inbox (Message).